When we opened our doors for business in January of 1989 we had a simple business philosophy: “Give your customer quality products at a fair price and take care of them like a friend.” This basic principle has been a cornerstone of Abbey Design Center’s business and remains our guiding light through the years. Service and craftsmanship and value are the pillars we’ve built our business on. We are committed to providing an exceptional customer experience and a finished product at a fair and affordable price. We want you to love your new space! 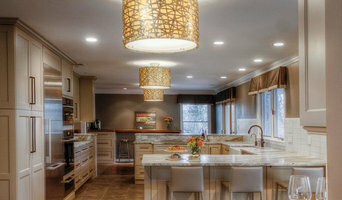 Abbey Design Center is a one-stop-shop for all of your interior remodeling needs. We're determined to bring you the best experience possible starting with the perfect design for your ideal space. Our designers and installers will work together to quickly bring your space to life and give you a finished product with the highest level of craftsmanship. We take the stress and hassle out of home remodeling so that you can begin enjoying your new kitchen, bath, or basement as soon as possible. We offer free estimates and consultations, so come in today to one of our expansive design showrooms in Leesburg or Sterling. Or send us a message through houzz or our website and we'll schedule a conversation with one of our experienced remodelers. I make decorating fun and easy by bringing my design expertise and broad product selections right to your home. Whether you are looking for window treatments, furniture, rugs/carpets, lighting ...or you need to redo a whole room, I can help. No more running around town or giving up on half finished rooms. I match your style, needs and budget to create the perfect space for you. Windows to the Walls Interiors is an award-winning Interior Design, Draft and Build firm in Alexandria, specializing in residential design. We take a collaborative approach to interior design, ensuring your needs as a client are heard and met along the way so that you're receiving a top notch end product that feels and functions like your home should. No project is too big or too small. If you just need a little assistance choosing paint color to custom construction documents to redesigning entire spaces we can help you. Providing clients with quality, affordable architectural design services with particular interest in retreat homes and sustainable design. 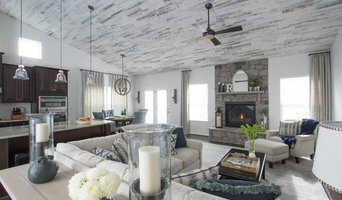 Mission Statement: "Enhancing Life by Design"
By combining classic and timeless styles with fresh, new design concepts, Kim Kendall Interiors creates exceptional spaces that reflect the personalities of the people that live there. Casual elegance, innovative designs, and the ability to create beautiful spaces based on each client’s unique desires… this is the hallmark of Kim Kendall Interiors. *Belgard Authorized Contractor* We are a Class A Contractor with 32 years of design-build experience, creating high quality outdoor living spaces in the DC, MD, VA areas. Our dedicated management team, long-time tenured foremen, and skilled laborers are committed to Bainbridge Outdoors' 100% customer satisfaction rate. From design to project completion, we'll be with you every step of the way! With the customer's interest at heart, DBG centers their designs around functionality and pleasing aesthetics. Drawing upon distinctive elements within the home's natural environment, DBG creates unique properties not soon forgotten. To ensure the highest level of commitment to the customer, DBG founders Matt Trunnell and David Kay work hand-in-hand with each homeowner every step of the way. Through a carefully detailed and customer-oriented design process, DBG brings an added layer of transparency to design and project management much appreciated by their clients. DBG is proud to create energy-efficient spaces without compromising the structure and aesthetics of the renovation. Give us a call today to discuss your dream project! From whole house remodels to condo, kitchen, addition, bath, and specialty renovations, CARNEMARK design + build creates design/build solutions that flow—meeting practical needs in contemporary life through a client-responsive and environmentally sensitive process. Since 1987, Washington, DC-area clients have enjoyed the award-winning combination of function and beauty we’ve helped bring home. Homeowners in and around the Washington metro area have dozens of choices when it comes to creating the ideal living space. Why do so many choose CARNEMARK? - Our clients rave. People see—and hear—first hand their friends', family's and neighbors' renovation stories come to life and want a CARNEMARK remodel of their own. - Our systems work. CARNEMARK's step-by-step process ensures you'll have an accessible, accountable professional leading every stage of your remodel—from start to finish. - Our design shines. We hear a lot of comments like, "I knew that was a CARNEMARK kitchen" and "That had to be your work." Our design stands apart from the crowd-winning national and local awards year after year. - Our people rock. Our designers, craftsmen, managers, and office administrators—they're all tops at what they do, and they love doing it with CARNEMARK. For more information, or to schedule a complimentary consultation, get in touch with us at www.carnemark.com. For over 35 years, we’ve been designing and remodeling great kitchens and baths for our discerning clients in the Washington, DC metro area. Together we create unique kitchens and baths they can enjoy for a long time and are also a good return on investment. Our clients share with us their needs and wishes and we embark on an exciting adventure together – to create their dream kitchen or bath. Our fresh, imaginative designs and construction experience unlock the potential of the room – we achieve the best possible use of the space both functionally and aesthetically. Many of our clients are clients for life, for whom we have completed numerous projects over the years. We strive to exceed our clients’ expectations and our own. Our clients’ satisfaction and happiness with the transformation of their space are evident in their many testimonials. Our projects range from small (powder rooms) to very large (major kitchen addition and adjacent rooms remodel). For every project, we provide a comprehensive package of services because we know that beautiful and functional results are only possible with extensive, thoughtful planning and attention to detail. 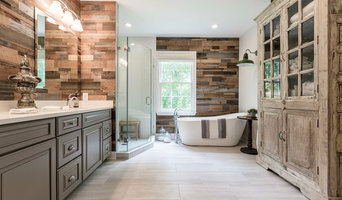 Fairfax County Full Service Design-Build Firm Best of Houzz 2013-2018!